Situated on Vancouver’s north shore, the Capilano Golf & Country Club lies within a prime residential estate developed in the 1920’s and 30’s by Ireland’s Guinness Brewery Family. 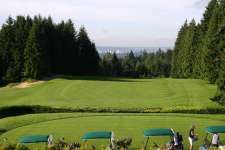 Blessed with terrific views over the city’s harbour, the course is a credit to designer Stanley Thompson who was able to choose his preferred golf land from the 6,000-acre mountainside property but still had the difficult job of routing holes up, down and across the severely sloping ground. The first six holes plunge more than 200 feet downhill from the clubhouse and Thompson cleverly laid out the remaining holes in such a way that you rarely sense there is a noticeable uphill gradient to any of them, except for the treacherous par three 9th. He was also seemingly able to use every natural feature on the site within his design, be it the valleys and gullies, small ridges or the narrow creekside basin area. 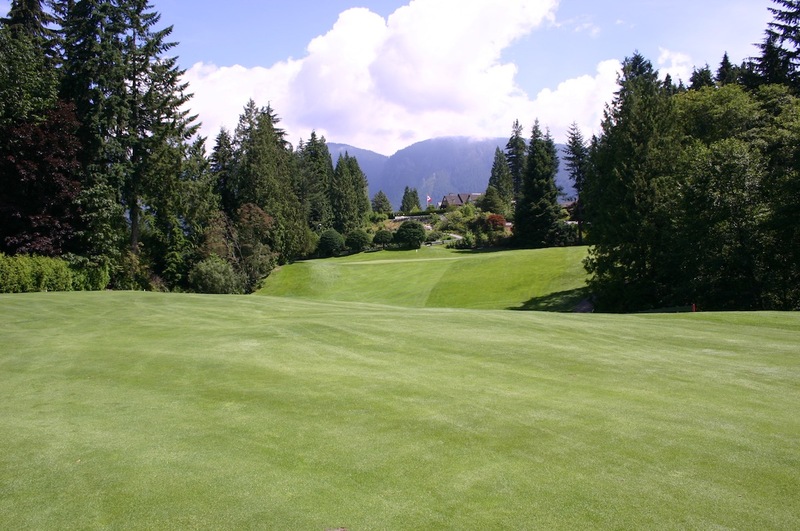 Beyond an inspired routing, Capilano is best recommended for its brilliant greens, which blend almost seamlessly with the surroundings and are largely full of wicked tilts either forward or sideways. Hitting the right areas is absolutely vital as downhill and cross slope putts at Capilano in the peak of summer are among the most difficult in Canada. Even the small number of blandish holes at 2, 5 and 10, for instance, are rescued by really good green sites while others like 1, 3 and 12, with landing areas or turn points dated by technology, are still fascinating for their terrific targets. The 12th is now a fairly basic drive across corner traps but the short valley approach is into an immense plateau putting surface that has a steep false front to catch the timid and a severely downhill and breaking putt awaiting those too strong. 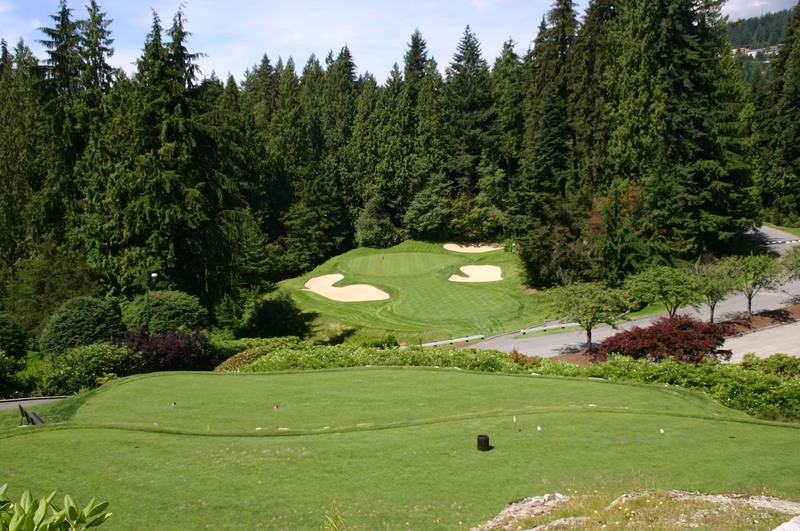 Generally speaking Capilano has been lovingly preserved by its appreciative membership, although some of the newer bunkers are less visually impressive than the classically shaped originals. Changes to the 6th green and the softening of the contours on the tempting 14th have also been unfortunate. A mid-length drop-shot par three with a small target abutting a creek, the 14th still provides a great lesson on how to make the badly overused plunging par three effective. Just like the 11th hole, which heads over water into a massively back-to-front sloping green, every pin placement here brings about a different challenge with the same dilemma of how hard to press and just where to bail out. The other par threes are also very good while the par fives, except for the 18th, are short by today’s standards yet frustratingly difficult to birdie. 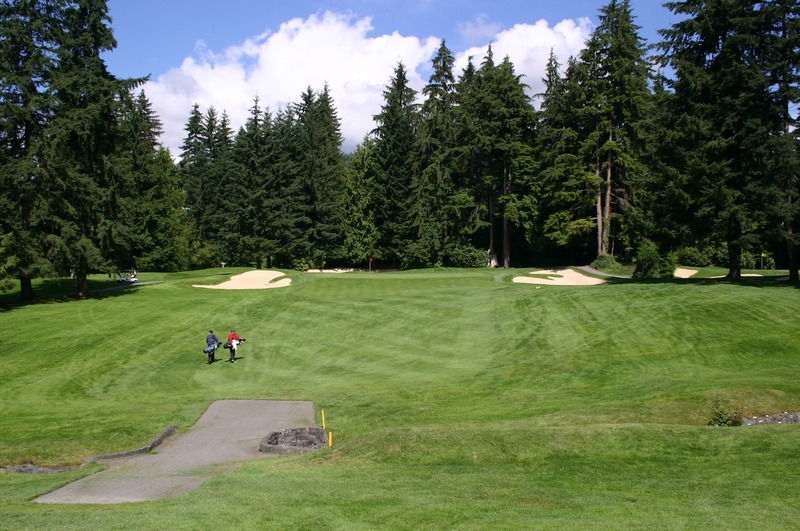 That leaves the par fours and like most Thompson tracks Capilano is very much a second shot course, you can usually drive anywhere within the fairways and still have workable angles into the pins. An exception is a hole like 13, where your drive flirts with a dangerous gully and has to be precise in order to set up a decent shot over the valley and into its shallow green. 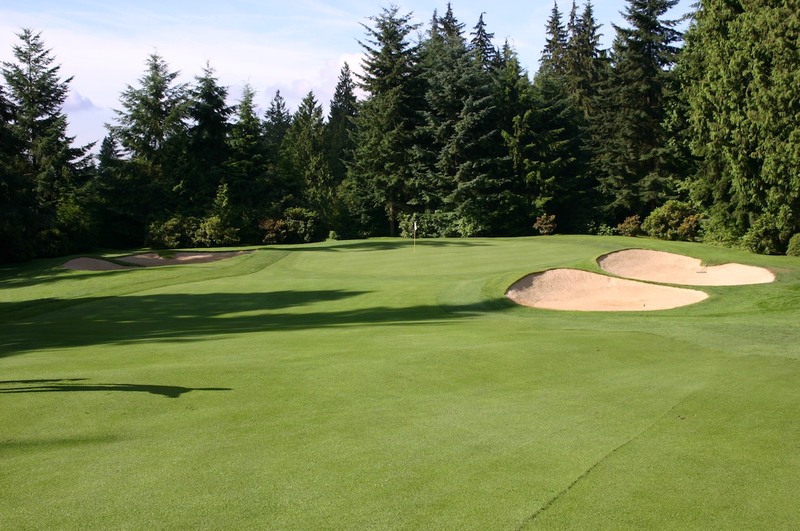 Although his collection of two-shot holes is more varied at St. George’s and Jasper, this group includes some of his finest green complexes. 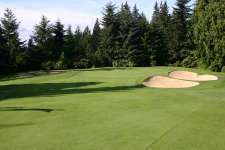 Targets at 2, 3, 12, 13, 15 and 17 are all wonderful, many slanting toward a single flanking trap meaning that hitting away from sand is often followed by a slippery downhill chip or putt. From the mighty 13th the run home is first-class with some superb architecture on awkward land and a great variety of challenges. The long and open par three 16th is an excellent test, as is the fabulous finishing hole which ends beneath the clubhouse, its tricky green sitting on a shelf above the fairway and beyond a small ridge. Ignoring the beautiful scenery and a number of fine holes that dot the landscape, the overwhelming sense here is of a remarkable routing achievement on a fairly difficult site. Capilano is an exceptional golf club and its course is not only the best on Canada’s West Coast but among the best few in any of its provinces.